Nauru is in the grip of a rapidly deteriorating medical crisis. 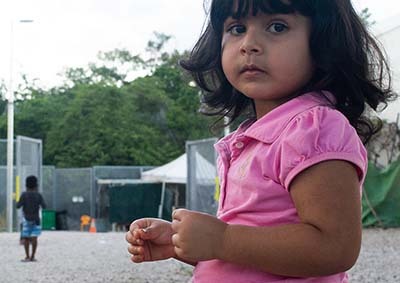 The dire medical state of many of the refugees, including children refusing food and drink for a number of weeks, has been compounded by the Nauru Government’s move to kick both medical charity Médecins Sans Frontières, and the IHMS senior doctor off the island. Pressure has been mounting on the Morrison Government. Cracks are showing even in his own party ranks, with three Liberal MPs going public to call for children to be brought off Nauru. Morrison offered to send the children and their families to New Zealand on the condition that Labor support its ‘lifetime ban, preventing any of the refugees sent to Manus and Nauru from ever visiting or resettling in Australia. This would mean a number of families—with children in Australia and parents still on Nauru—would be permanently separated. Labor and the Greens opposed the lifetime ban the last time the Coalition tried to get it through parliament in 2016. However, both parties have now shown willingness to concede on this in exchange for children off Nauru. Labor has offered to vote for the ban if it applies only to those sent to New Zealand. Incredibly, Morrison has refused to compromise, insisting the bill be passed in full. But there is no justification to accept the lifetime ban. With the Liberals now in minority government, and the pressure mounting to end the crisis on Nauru, now is the time to push for a genuine solution, not a destructive political compromise. As a first step, Labor should join the Greens in supporting Andrew Wilkie’s bill to bring all the children and their families from Nauru to Australia. Morrison has crudely held children in detention to ransom before. In 2014, as Minister for Immigration and Border Protection, Morrison pushed a deal for children in detention on Christmas Island to be released into the community only if parliament reintroduced temporary protection visas. Like in 2014, Morrison is again playing political football with the lives of asylum seekers. There is nothing stopping the Liberals from bringing every single refugee on Manus and Nauru to Australia tomorrow, without any change to immigration legislation. In fact, over recent weeks the Australian Government has brought dozens of children in need of emergency medical treatment to Australia with their families. There are now less than 50 children left there. But taking the children off Nauru will not resolve the desperate situation for the rest of the refugees on Manus and Nauru. The only solution is to bring them here and offer permanent protection in Australia. With an election due within months and the possibility of a Labor government, Labor’s policy is in sharper focus. Labor leader Bill Shorten has claimed he would get everyone off Manus and Nauru. But he has refused to commit to bringing them to Australia. Instead he says he would strike deals with third countries to resettle them. But Shorten has admitted he has no countries willing to take them. The Liberals have been trying to negotiate similar deals for over five years and failed. Two years after the announcement of the US deal only 450 people have flown to the US for resettlement. This leaves around 1300 refugees and asylum seekers on Manus and Nauru. Another 500 have been moved to Australia for medical care but remain barred from permanent resettlement. Even if the US eventually takes its maximum number of 1250, hundreds will be left behind. New Zealand has offered to resettle only 150 people a year. Labor has no solution to resettle the rest of the refugees and asylum seekers who are still in limbo after five years in offshore detention. Labor must commit to #BringThemHere and close the offshore camps. This is the only way to end the torture on Manus and Nauru.